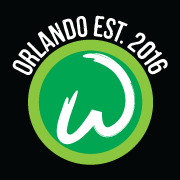 Orlando is officially getting a ‘Wahlburgers,’ a chain of burger restaurants from the Wahlberg brothers, Mark, Donnie, and Paul. The grand opening of the downtown location is located at 200 S. Orange Ave. The event will take place February 17th at 7:30 p.m. and all three brothers will be there! They will also be filming for their A&E reality show. Take note: due to the chaos, Orange Ave will be completely shut down during the grand opening. If you want to catch a glimpse, we suggest planning accordingly and arriving early.